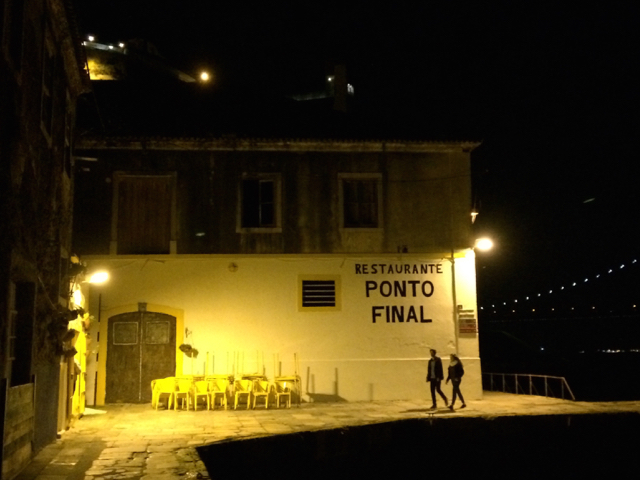 A real waterside restaurant, quite quirky but very good, Atira-te-ao-rio can only be easily reached by a ten minute walk along the waterside from the Cacilhas ferry terminal. 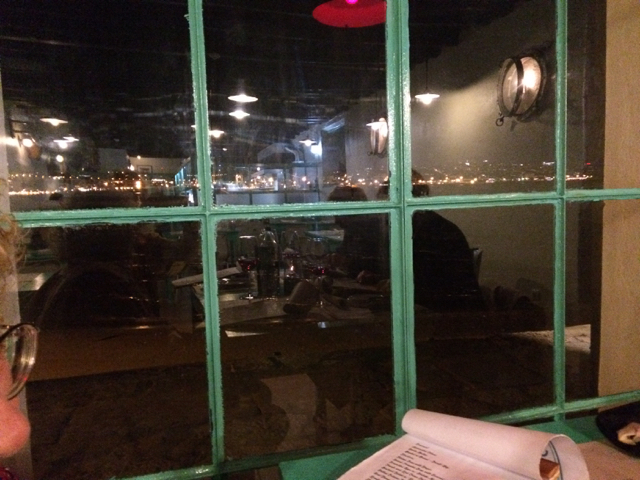 It can be off-putting at night if it is your first visit as you walk along the unlit quayside past abandoned warehouses. 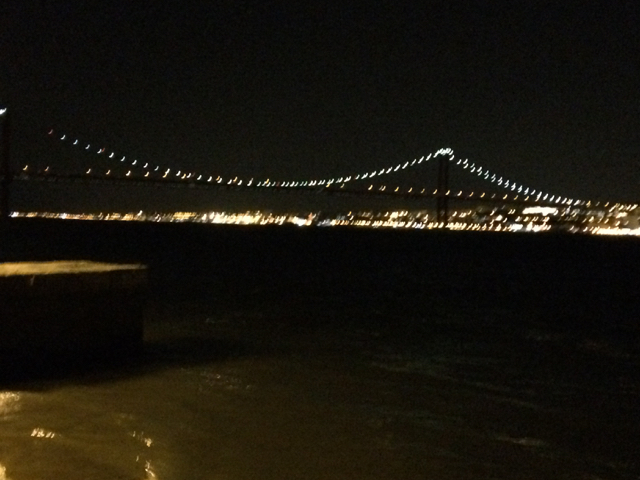 It is, however, well worth the walk. 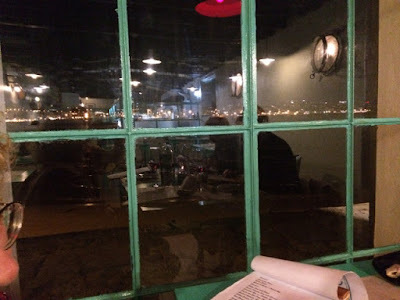 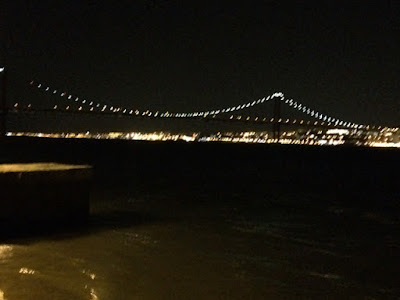 Try to get the table by the small window, which has a great view across the Tagus. You can also eat outside on the terrace but best avoided during the winter nights even though they promised us a heater and blankets! 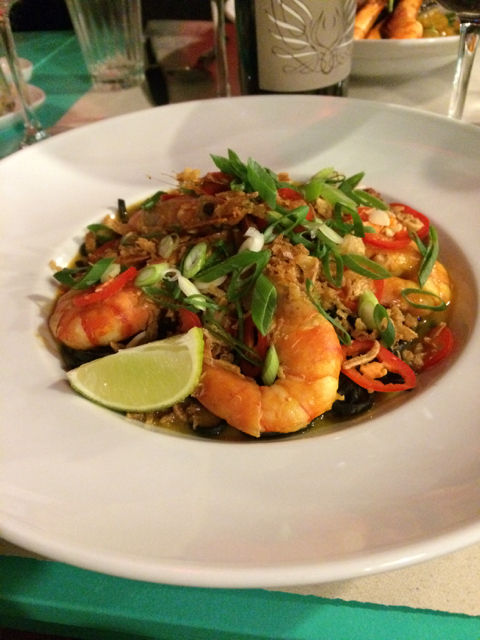 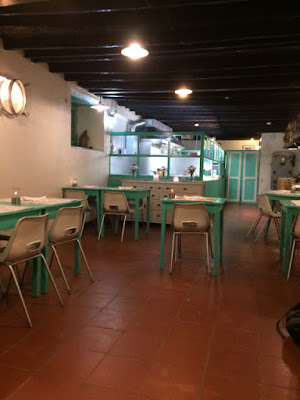 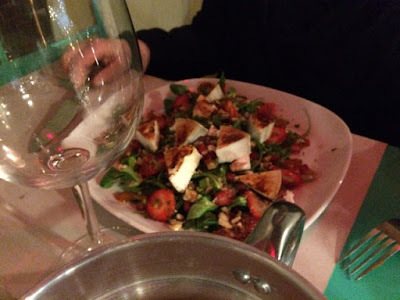 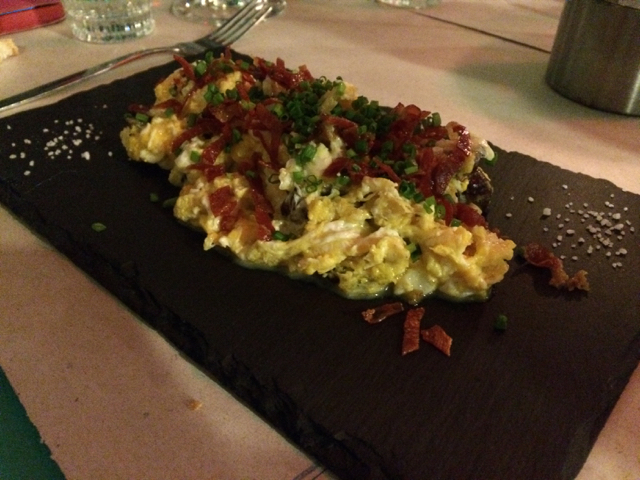 We were very impressed with the food – a much more homely style than Rabo d'Pêxe Lisboa where we had eaten the night before but equally enjoyable. 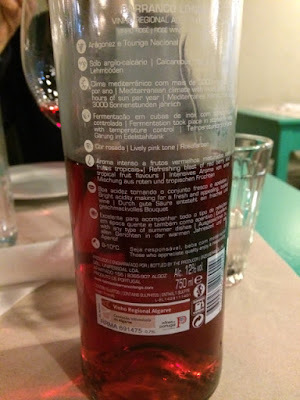 We limbered up nicely with a bottle of the deep coloured 2014 Rosé Barranco Longo (15€) from the Algarve. 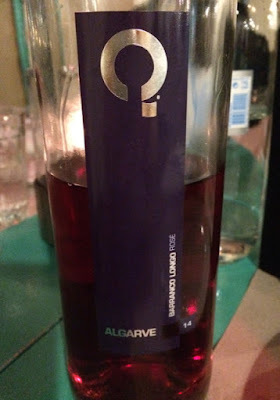 This is a blend of Aragonez (Tempranillo) and Touriga Nacional. 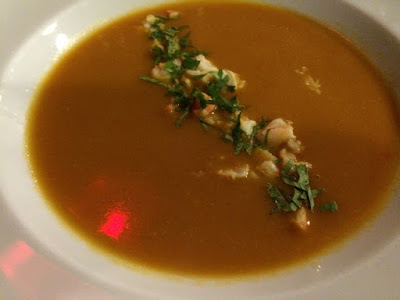 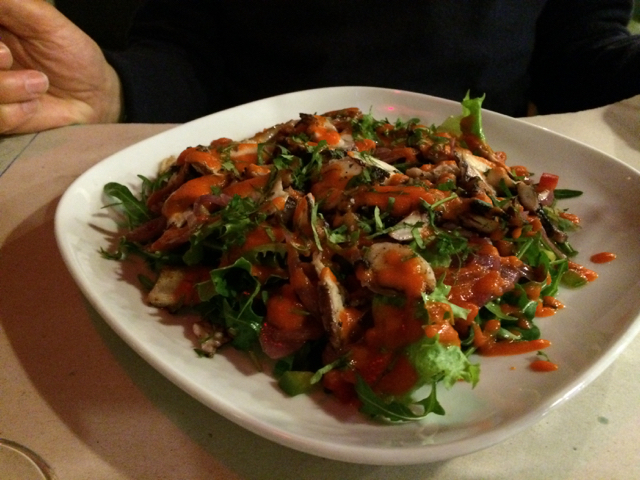 I started with a rich, flavoursome shellfish soup while CRM went for the scrambled eggs, while our friends Jane and John chose two different salads. 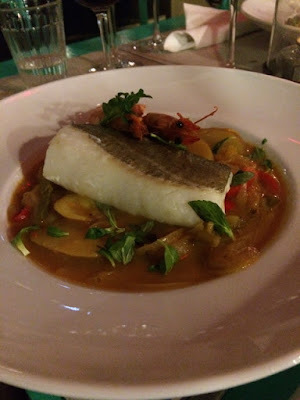 For the main course the brilliantly cooked fresh cod was easily the majority choice leaving me to opt for the black linguine with prawns. 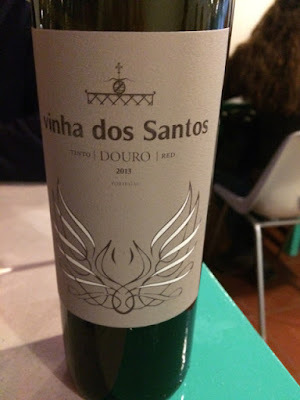 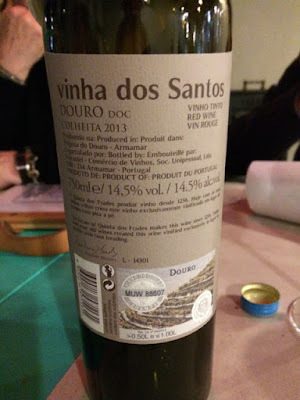 Winewise we went for a powerful, rich but well balanced Douro red – 2013 vinha dos Santos, which is a blend of Touriga Franca and Touriga Nacional made by that man Anselmo Mendes. One negative point – the fairly short wine list is out of date: vintages wrong and out of stock bottles are still listed. 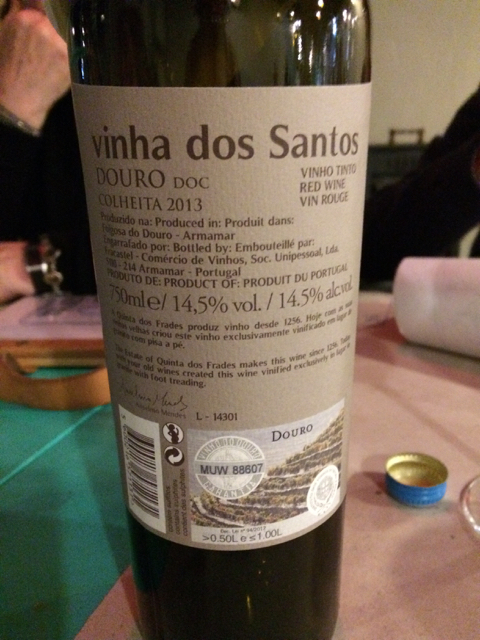 These days it is not difficult to keep your wine list up to date, especially if you have a short selection. 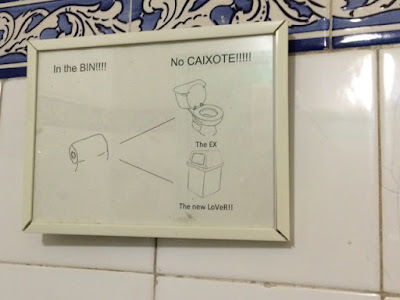 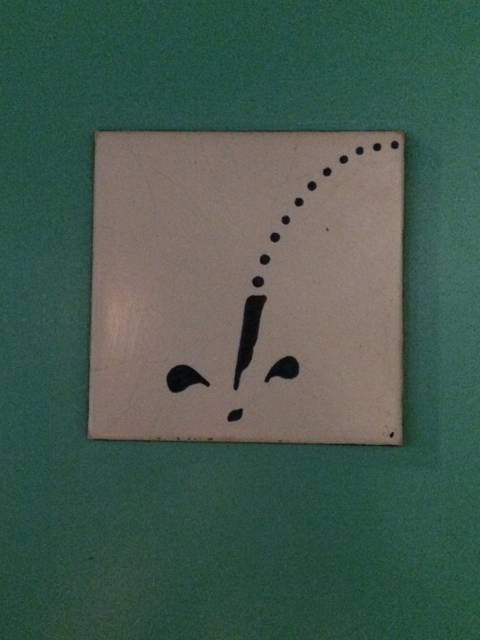 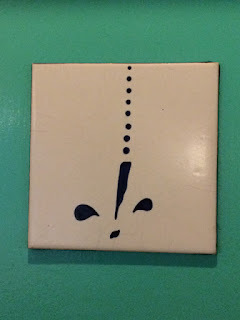 WC sign indicator – which is for whom? Although as you walk along the deserted quayside you think that Atira-te-ao-rio is way out on a limb, there is one restaurant a little further on – Restaurante Ponto Final, which we haven't tried yet.